I was pointed towards this example by Simon Cross, author of 'Totally Devoted' a book about New Monasticism in Britain. Windsor Hill Wood seems Tolstoyan to me: they found a woodland in an abandoned quarry which they have bought and now live in. They are inspired by the Pilsdon Community and use permaculture and woodcraft. They have chosen the Sermon on the Mount as their inspiration and labour and rest as their means. "Choice – that once seemed empowering – has made us powerless. It has made us sad and rootless, prone always to want to keep our options open." The setting is stunning but behind the romanticism their must be a harsh reality in the isolation and precacity of living. They're a conventionally shaped family in an unconventional life: Tobias Jones, who writes on behalf of the community has written a series of articles for the Observer. 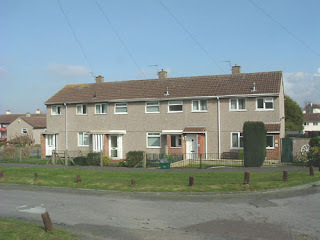 A small council estate on the edge of Gloucester is beginning to find out what Big Society really means. Facing cuts to public and third sector care the churches begin to try and unravel, with the community, what is really happening? "If we had given ground on the refugees and made such concessions, why hasn't Israel agreed to sign a peace accord?" The words of Palestinian Authority (PA) President Mahmoud Abbas in response to Al Jazeera's leaked documents from the PA revealing formally the extent of the concessions made on the Palestinian side and the intransigence of the Israeli state powers. Like we didn't know all this already! So the Palestinians are denying it all and the Israeli's so far are quieter on the matter. If either side knew the meaning of the word 'shame' they would be ashamed of their exposure. But everything illuminated becomes a light (Ephesians 5: 12 - 14) and so with these leaked documents. We are reminded of what is already known but rarely spoken of: the power-elite can play their games in secret rooms, pretending to negotiate peace but only really negotiating shares of power of Israeli's who have been cowed by their own government and narrative and Palestinians who do not know where to turn because they've been offered the wrong myths of redemption. A two state solution? A One state solution? Choose your masters people! Do you want Palestinian corruption and neglect or Israeli/USA corruption and neglect? But the good news is that most Israeli's want and work for peace and most Palestinians long for justice. So peace and justice are possible. The dickheads just need to get out of their secret rooms and go out into the street and start clearing rubble instead of whispering sweet nothings in Imperial ears in the dark. Tony Blair: "The West is too apologetic and not egocentric enough"
In his response to the Chilcot enquiry Tony Blair - consummate politician - threw in the usual vagaries and emotive rhetoric to disguise his complete inability to grasp, or at least confess, what's going on. Over the years I've come to think that Blair really does believe the stuff he says. Today he claims 'the west' should stop apologising and being wretched about the situation in Iran; it's not Britain's fault. We didn't create an unstable middle-east. We didn't?! Did they close down Tony's public library first? Does he know nothing of the history of Iraq and Iran. Britain has always been directly involved in shaping the territories and politics of Iraq/Iran/Kuwait/Palestine. Since British Petroleum was in short trousers we've been in their up to our arses in Arab blood and oil and doing very well out of it, thank you very much. But no! Not for Tony Blair who seems to be the only one who knows what's really going on and has to patiently explain it to the rest of us thick-heads. Poor dear. Tony Blair claims that Iranian foreign policy is based on their unexplainable, irrational, and aimless dislike of 'our way of life'. This rhetoric was all the rage when W. Bush was US President - it was stupid then and it's stupid now. In Tony-Blair-Land Britain is an innocent victim of a psychotic bullying Islamic Orient that - no matter how lovely he is - doesn't like him. He's terribly hurt. Blair is like the school yard bully who hits other children then complains to the dinner lady that no one will play with him. .... Except Blair could do it with tanks and rockets and whole 'kin countries. That man needs a strong sedative and a quiet, soft-walled room. POULSBO, Wash. - At the Ground Zero Center for Nonviolent Action on Saturday there was a celebration of what Martin Luther King Junior stood for, and a celebration of the Bangor 5. Eighty-four-year old Anne Montgomery is the oldest of the "Disarm Now Plowshares," convicted in December of breaking into the Kitsap Bangor Naval Base outside of Bremerton. Now in their golden years, they face 10 years in federal prison with no regrets. "We take responsibility, we don't walk away, and prison comes out of that," said Montgomery. For decades they stood outside of the base - protesting the storage of nuclear weapons. But two years ago, they cut through barbed wire and onto the base. The five were charged with trespassing and destroying property. "We have a responsibility and we're grateful we had that opportunity to speak out the atrocities that exist on the other side of the fence here," said Lynne Greenwald. Opportunity for PhD funding in anarchist history, politics or theory. What to do a PhD in Anarchist thought and practice? Applications should be received by Monday, 7 March 2011. 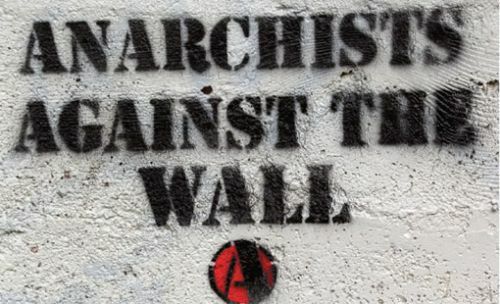 The Department is home to an Anarchism Research Group and there are currently five PhD students in the Department working on aspects of anarchism. For further information about the Department click here. Chris Floyd, former columnist for the Moscow Times, now an independent journalist, speaks out as a closet Tolstoyan. Welcome! 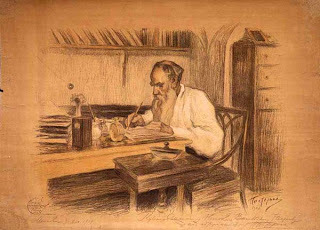 For example, despite its promotion of his novels, the Soviet regime repressed vast swaths of Tolstoy’s work, especially his thoughts on nonviolence, the evils of state power and — ironically, given the Orthodox animus — his heartfelt religious writings. The “Tolstoyans” themselves were persecuted by the Bolsheviks. I doubt if Tolstoy would want “forgiveness” from the Orthodox Church today, or marks of distinction from the state. But he would doubtless be pleased that his turbulent ideas are still alive, still radical and still troubling the powerful long after he was laid in his solitary, unmarked grave. The article in the NY Times about the battle around Tolstoy's excommunication, to which Floyd is referring.